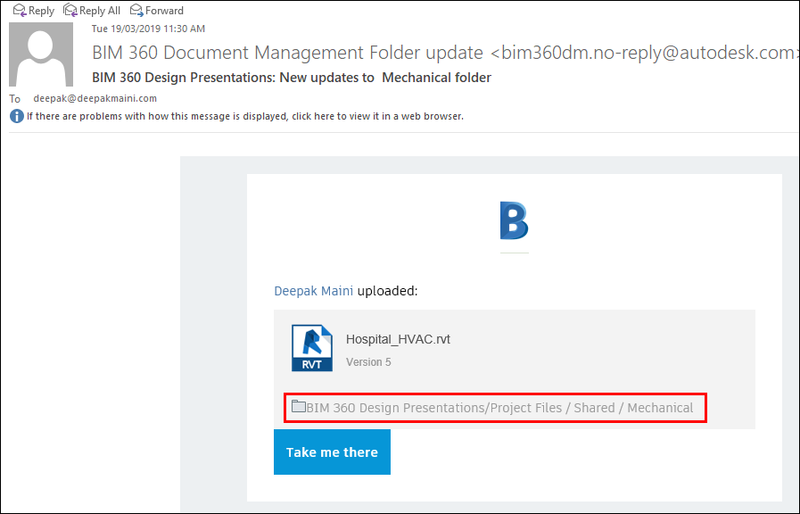 One of the questions that I get asked in most of my BIM 360 Design presentations is how do we notify the other teams about the package we have shared. 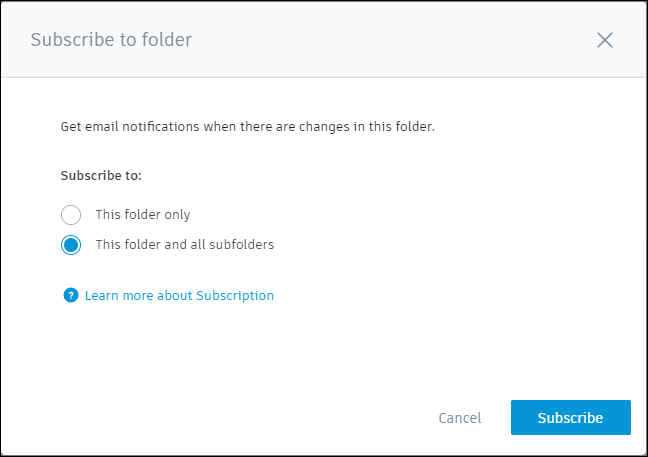 All you need to do for that is to subscribe to the Shared folder in the Document Management interface. Here is the procedure to do that. 1. 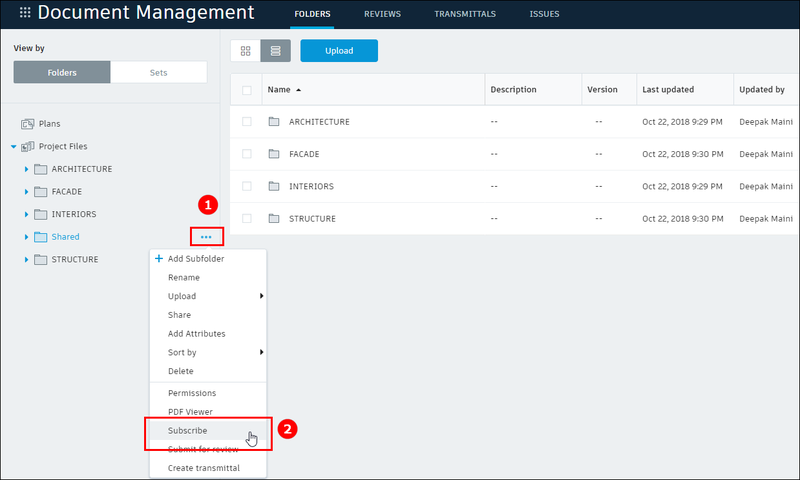 Log on to BIM 360 Document Management interface using your Autodesk credentials. 2. In the folder tree, click on the […] icon on the right of the Shared folder, labeled as 1 in the figure below. 3. Click Subscribe, labeled as 2 in the figure above; the Subscribe to folder window is displayed. 4. Make sure the This folder and all subfolders radio button is selected in this window, as shown below. 5. From the lower right corner of this window, click Subscribe to subscribe to the Shared folder and all its subfolders and also to close this window. From now on, as soon as any team shares a package, you will get a notification about it, similar to the one shown below. Here is the link to the Screencast about this.